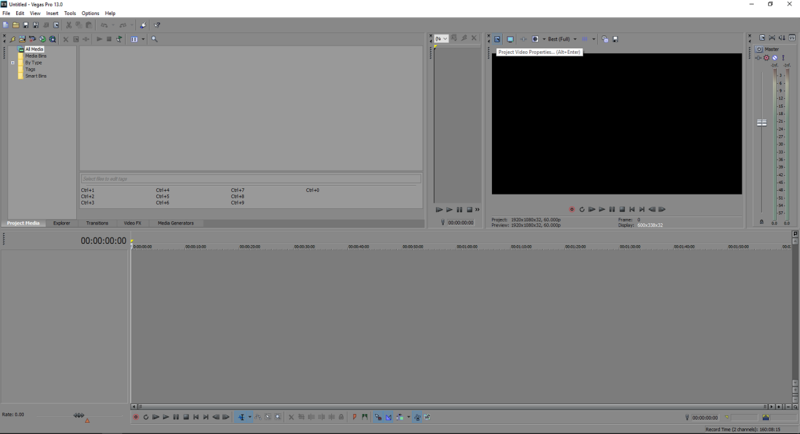 Sony Vegas is a video editing tool. It features a lot of effects and add-ons for both simple and complex video editing, thus is quite popular among gamers and YouTubers. 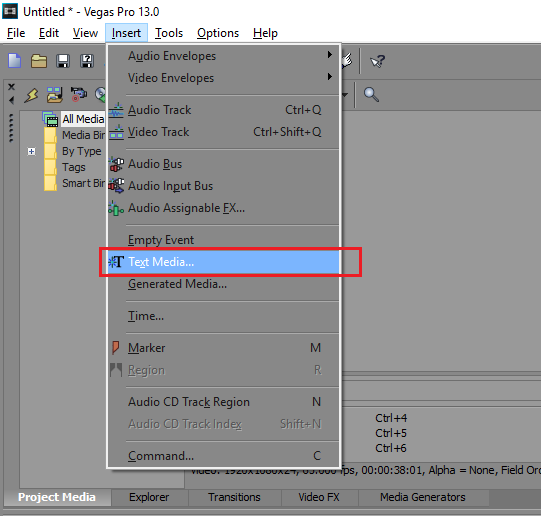 More info: Vegas (video editing software) wiki. 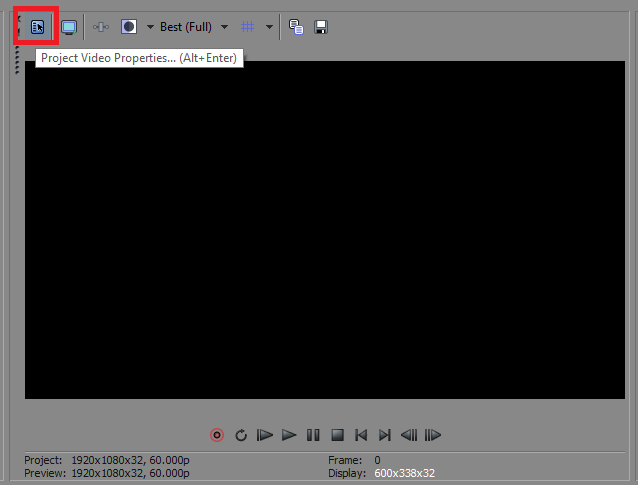 Have in mind (Sony) Vegas is not a free software! 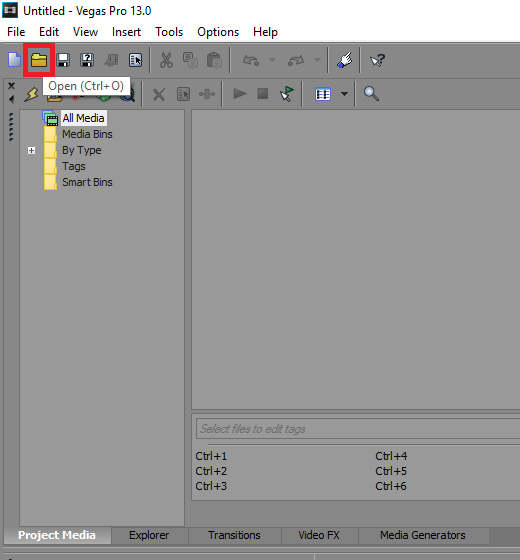 In this guide it'll be shown how to set up basic properties, import a video, edit it and render. Let's start! This is an example of one of my (SAMP) templates. 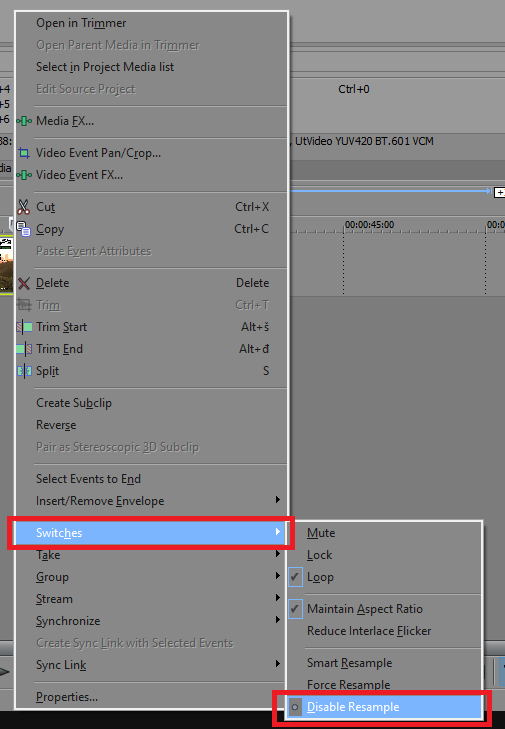 You can adjust these settings manually or you can open existing project video properties, adjust it to your likings and then save it under any name you wish. Once you've started adjusting these properties the question is: what & how? Well, what you're interested in is this first tab as it's what actually gives the visual appearance. Width & Height: This represents dimensions of what your final output should be. Your preview window will be set to this resolution, and it'd be good if this matched the resolution your clips are recorded on (source clips). Check your recordings folder -> right click -> Properties -> Details -> Frame width, Frame height -> these are the numbers which should be in your project media properties as well as in rendering settings (we'll come to that later on). Frame rate: This represents fps of your video. 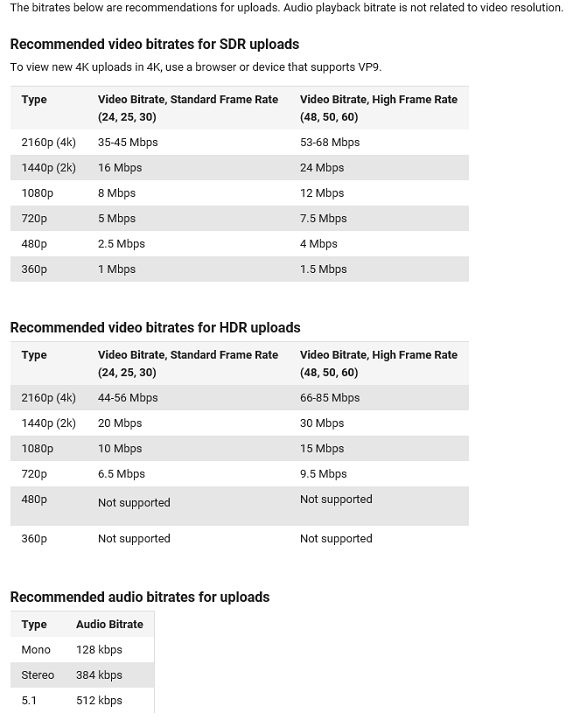 You can check fps of your video the same way described above. Note: this is NOT your in-game fps, this represents fps of your recorded clips (most common values nowadays are 30, 50 and 60). You might play the game on 100 fps, but your footage might be written down/recorded in 50 fps. Full resolution rendering quality: Set this to "Good" or "Best". Start all new projects with these settings: I recommend you placing a checkmark here. 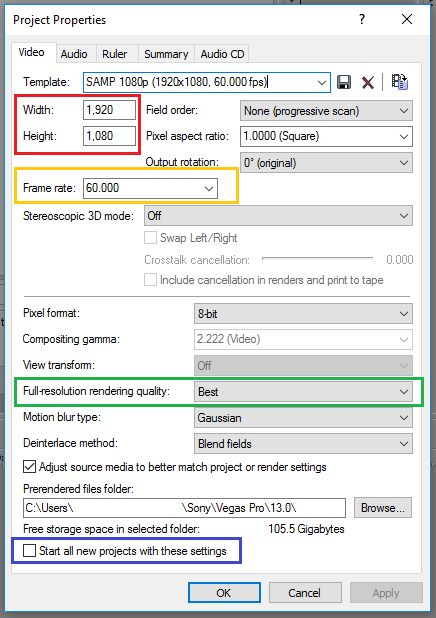 I play around with different settings such as resolution and fps so I don't have this checked but if you mostly play on constant resolution and fps, I recommend you to check this. The rest is not that importatnt, therefore leave it as it is. The side-blur is now gone. Now our video is ready for rendering (which will reduce its size), but let's demonstrate how to add some simple effects! CUTTING/SPLITTING CLIPS: you can split your footage anywhere you like by marking the clip and pressing S. If you want to get rid of a part of the clip, you can of course delete it by pressing DEL. SPEEDING UP/SLOWING DOWN: come to the edge of your (sub)clip and once your indicator changes, press & hold CTRL and drag the clip left/right. 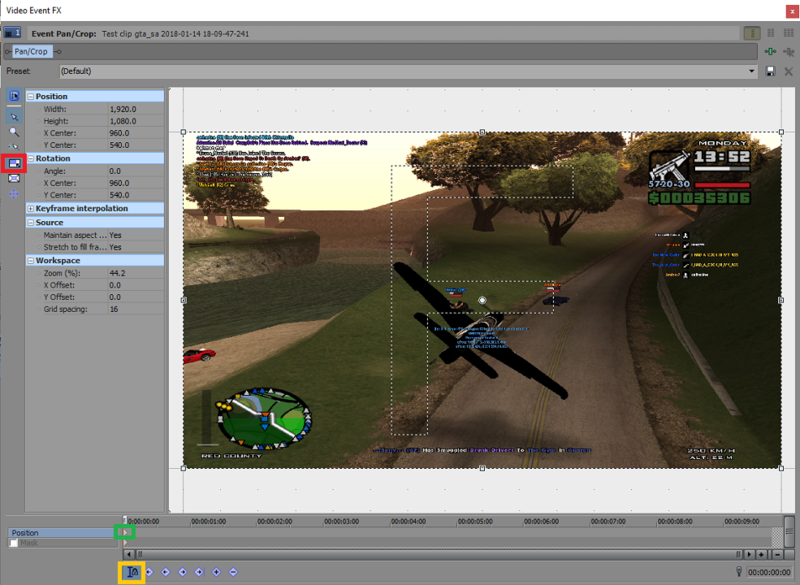 Note how dragging it left reduces the total referent time (length) of your clip, so dragging it left = speeding up. 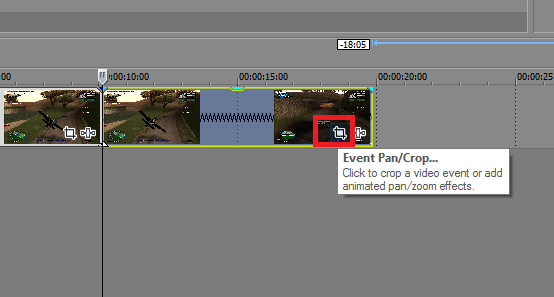 ZOOMING IN/OUT: You can access this effect by clicking on Event Pan/Crop... in bottom right corner of your (sub)clip. In the picture above, it's also visible what splitting & speeding up do to the timeline appearance. 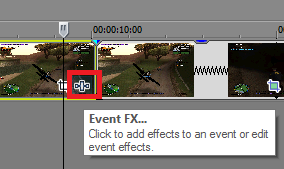 Speeding up shows "waves" on the (sub)clip and splitting sets the border between clips. When we click on the marked icon, the following menu appears. We can play around with the rectangle as we like, but it's good to have a few things in mind. Of course I'd recommend you to play around these buttons a bit, but for decent video I recommend you setting it up like I did (this way there will be no black bars). Mark Lock Aspect Ratio (upper left-side corner) and Sync Cursor (bottom part, below the sub-timeline). Lock Aspect Ratio will keep Width:Height ratio constant, which will help in adjusting your zoom well. Sync Cursor is a useful thing which will sync your ruler movements (in both main and sub-timeline), which gives you a better impression of what your video looks like. With green colour, I've marked a tiny rotated square which is called keyframe. Each keyframe defines a separate position of the zoom/focus cursor! 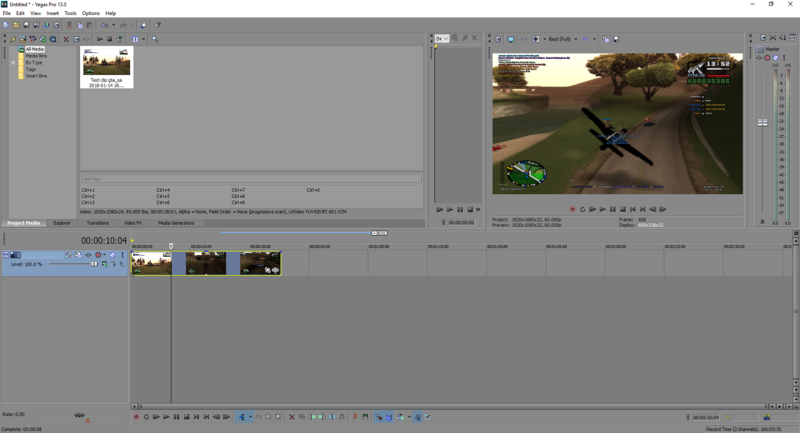 This type of editing will zoom in to my character at the time span of 5 seconds. It will continuously zoom in from the position defined by the first keyframe (green) to the position defined by the second keyframe (blue). In case you want to zoom out or if you messed up, you can always click right click on focus-rectangle -> Restore. 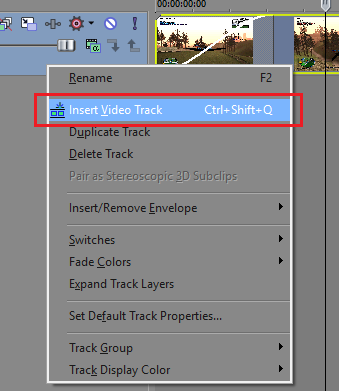 FADE IN/OUT: come to the upper edge of your clip and drag the subsection which Vegas offers you. The more you drag the longer fade in/out effect will be. If you press on the tiny thing at the upper edge at the middle of the clip, you'll change the opacity of the clip. You can apply any effect you wish by double clicking on it or selecting the effect and pressing "Add". Have in mind that it's important to animate effects as you don't want them to take action in temrs of miliseconds. In the following example, I'll show how to use Gaussian blur effect. First we add the effect, and we press the animate button (clock) and we add the first keyframe. Keyframe is automatically added if there's a change made to the effect, but it's also possible to add it manually by pressing + square below the sub-timeline. Then we select the frame where we want the effect to end (or take maximum amplitude), we adjust the values and add the ending keyframe. Now we animated blur so it arises slowly. Here's the example of a frame in between our keyframes. You can see it has soft blur which is in between blur of 0 and 0,02. You can add a new layer by pressing at the left part of the screen and select Insert Video Track. Tracks in Vegas are sorted by priority! That means track with index 1 has the priority over track with lower indexes. That means if your clips overlap and if there's no transparency involved, only the first track will be shown. We use these facts to add a description or a title to our video. Okay, let's take a look at a few important parametres here. Frame size: this is the resolution/dimension of your final output video. It'd be optimal if this matched the resolution of your original footage. Frame rate: this is the fps value of your final output video. Bit rate: simply said, the higher the value, the better the average quality of the picture. Once you've adjusted your parametres, you can save your template by attaching a name to it and pressing disquette button. Later on, you'll have your rendering template saved and all you have to do is press Render and wait till it completes. The time it takes for rendering to be completed depends on your hardware. If you wish to publish your video to a video hosting site such as YouTube, have in mind that you can save your own time by smart choice of these parametres. 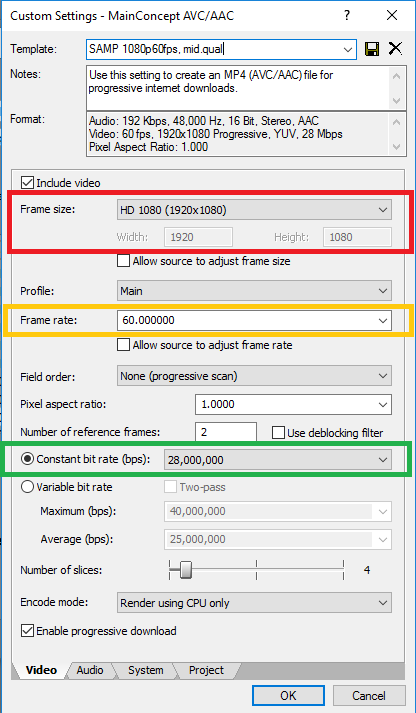 Down below are some useful links regarding supported resolution, frame & bitrates on YouTube. I hope this introduction was a bit of a help if you're a Vegas beginner. Enjoy your high quality videos! Last edited by Evangelist on Thu Mar 01, 2018 9:40 am, edited 2 times in total. Impressive, already saw your YT tutorial which helped me with basics like fade in, fade out, and speed up/slow down effects. I have a problem with zoom in's.I don't know if you mentioned a fix for this here or not because right now I don't have much time to read it carefully.Just dropped by to skim this quickly, so my question is : Whenever I try to zoom in a moment instead of instantly zooming theres an annoying effect that zooms in slowly and with an animation/effect I don't know if you got the point or not but I hope you did so yeah, is there any way I can get rid of that annoying effect so I can have an instant zoom in? Note: If needed I can upload a video to show you what it looks like more concentrically. Upload the video, it shouldn't be hard to solve. EDIT (2nd Jan 2019): Sorry for late response, I wasn't replying since you didn't post the video of your problem but I'd say it's a problem with keyframes (check the main post for more information) & I think Murder3r's solution should work well for you (check post below this one). Last edited by Evangelist on Wed Jan 02, 2019 11:03 am, edited 2 times in total. Thanks evangelist that's a nice guide. I had some problems with rendering settings, which you explained very well here. Not sure what type of animation/effect you're talking about, but i can help you with the instant zoom in thing. Time taken to zoom into a video depends on the number of frames between the starting point of the zoom effect to the ending point. So the lesser the number of frames, the faster the Zoom in/Zoom out and vice versa. Here's a short video i made for your better understanding. Is your original video file damaged? 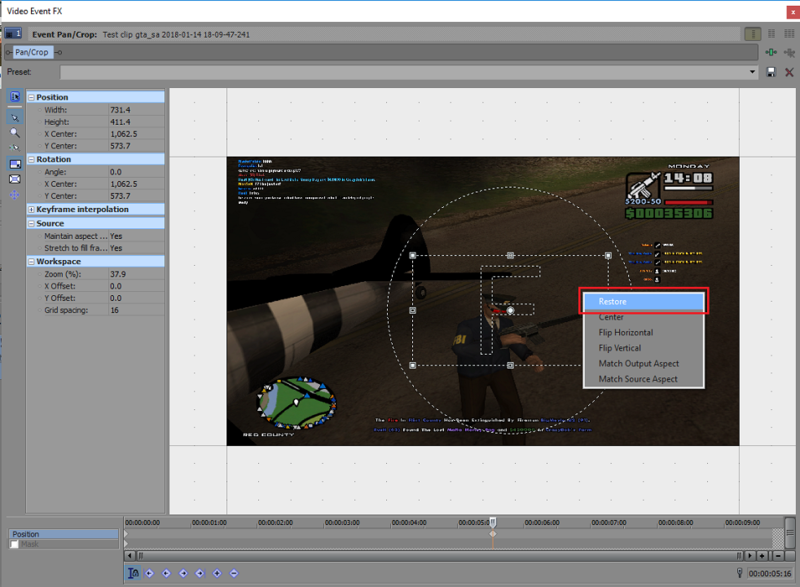 Check your file properties, try to (re)play it at the point your rendering messes up. Alternatively, try to play it in slower rate (press Numpad + / Numpad - to adjust your playback speed if you have VLC media player). 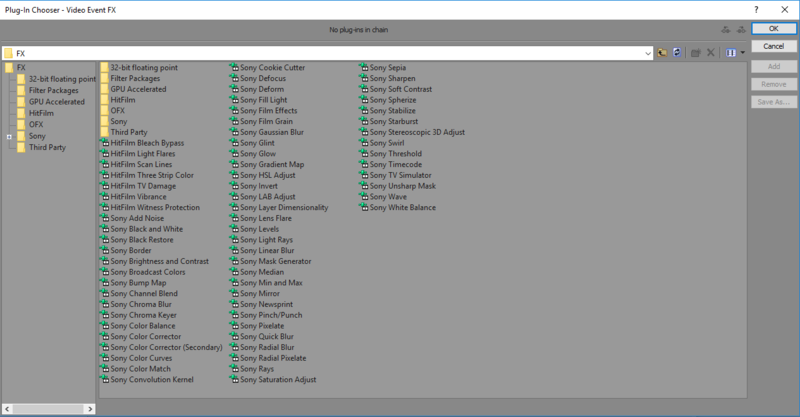 What are your rendering settings? If everything is okay with the testing above, try to render with lower quality settings, even once with two pass rendering. Don't worry, it'll take more time to render but should try to eliminate problems and optimize the results. Either way, set it to "Render using CPU only", it usually yields better results than doing some chemistry with GPU. Double check your tracks (layers), maybe you've saved a snapshot and placed it on the track 1 (the one with highest priority). 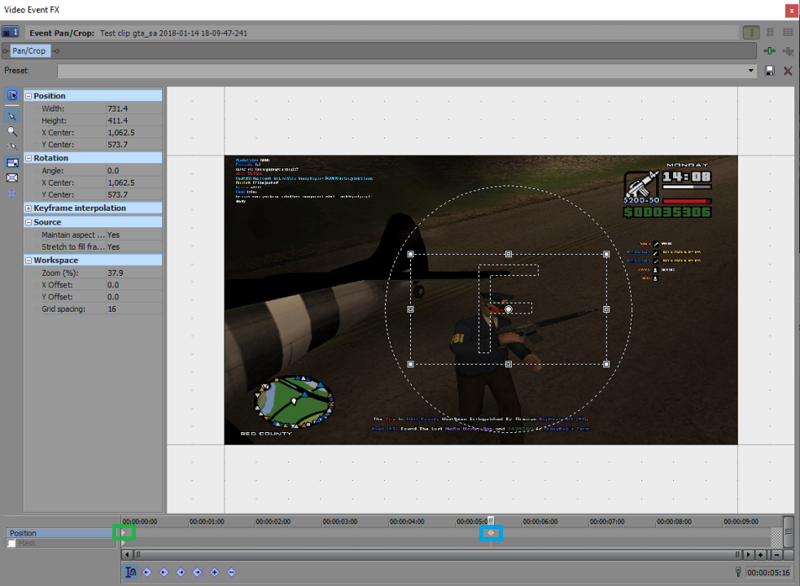 Also try rendering without any effects first, and then apply some to your newly made video. Though so far I doubt this will help... Good luck.